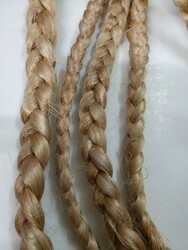 We can make combed Jute Fiber used in joining place of two pipes. Jute fiber length is minimum 10” each bundle 250 gms and 1 kg pack. Packed in pp bag and then 17 pp bags in a carton.